These roof-lights access hatches are supplied as a cellular PVC kerb and a pre-drilled glazing unit allowing the installer to screw fix the glazing to the kerb. The pre-drilled fixing holes are positioned using state of the art cutting technology ensuring a reliable and accurate fit every time. They are available in single, double or triple skinned options. Access hatch opens to 90 degrees. I would recommend your affordable products (Mardome Trade Dome with sloping kerb | MardomeTrade - Fixed Dome with sloping kerb with Auto Vent | Mardome Trade - Fixed Dome with sloping kerb, Auto Vent, 600mm x 600mm) to anyone else considering this product, as it has been superb. Omega Build Shop | Mardome Trade Dome with sloping kerb | MardomeTrade - Fixed Dome with sloping kerb with Auto Vent | Mardome Trade - Fixed Dome with sloping kerb, Auto Vent, 600mm x 600mm. 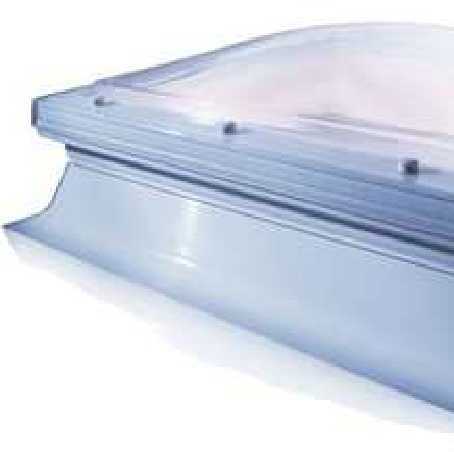 You are viewing Mardome Trade Dome with sloping kerb | MardomeTrade - Fixed Dome with sloping kerb with Auto Vent | Mardome Trade - Fixed Dome with sloping kerb, Auto Vent, 600mm x 600mm, buy online today!